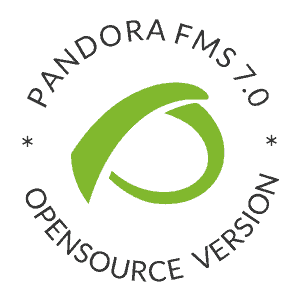 Pandora FMS started as an OpenSource project in 2004 in Sourceforge. Now our code is posted on GitHub. It has been downloaded more than 1.5 million times on SourceForge since 2004. We have over a thousand pages of documentation published in three languages, plus several hundred thousand lines of code. We are transparent and have nothing to hide. The Pandora FMS Community Edition provides small businesses and advanced users with a complete and versatile infrastructure monitoring tool. The source code is available under the GPL2 license, which allows you to extend and modify its functionality without restrictions. The community version is unlimited. With enough time and resources, our users have shown us an impressive ability to build very large and powerful monitoring environments. However, they have had to train themselves, develop their own functionalities adapted to their needs and solve their own problems. Our extensive documentation is always there for anyone who wants to research and learn. The Enterprise edition of Pandora FMS contains features that are not included in the Community edition. It has been designed for businesses, rather than individual users or small organizations. The Pandora FMS Community edition can be compared with other free tools such as Nagios, Zabbix or OpenNMS. However, the Community version is much more flexible than its competitors. There are several comparisons available in our blog.